Merck & Co’s cancer immunotherapy Keytruda has finally overtaken Bristol-Myers Squibb’s rival Opdivo in sales – and EU regulators just rejected a new use for BMS’ drug while green-lighting two new indications for its competitor. The decisions from the European Medicines Agency came in the regular end-of-month meeting of its CHMP regulatory committee, which makes recommendations that are passed on to the European Commission for final approval within a few months. The CHMP voted against the application for extended use of BMS’ Opdivo (nivolumab) and Yervoy (ipilimumab) combination as a first line regimen in kidney cancer. BMS said it will contest the decision, just as the latest round of quarterly figures showed that Merck & Co’s rival PD-1 class drug Keytruda overtook Opdivo in sales after playing catch-up for several years. Sales of Keytruda rose 89.2% compared with last year’s Q2 to $1.67 billion, edging past Opdivo, which saw revenues increase 36% and generated sales of $1.65 billion during the same period. Commenting on the CHMP’s decision BMS’ CEO, Giovanni Cafario told Reuters that the company “strongly disagrees with this opinion. And in the interest of patients, we will pursue a re-examination”. Merck & Co’s Keytruda received a positive CHMP opinion in two out of three recent applications for new indications. The committee was voting on approval for extended use in first line treatment in metastatic head and neck squamous cell carcinoma (HNSCC), 1st line treatment of non-squamous non-small cell lung cancer (NSCLC) and adjuvant treatment of melanoma. 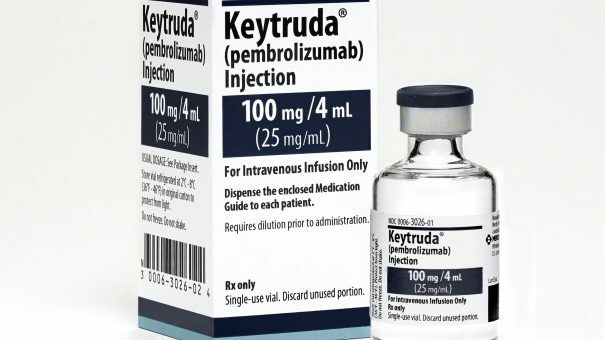 As has already been announced, Merck withdrew the filing for Keytruda’s use in the lung cancer indication in October. Regulators also voted against a new indication for Amgen’s Blincyto in patients with minimal residual disease after treatment for B-precursor acute lymphoblastic leukaemia. The committee also recommended granting two new paediatric-use authorisations for Kigabeq (vigabatrin), for the treatment of West’s syndrome and resistant partial epilepsy, and Slenyto (melatonin), for the treatment of insomnia in children. Other cancer drugs to get the green light include Array Biopharma’s Braftovi (encorafenib) and Mektovi (binimetinib) have been recommended as combination in the unresectable or metastatic melanoma treatment while AZ’s Imfinzi (durvalumab), for the treatment of lung cancer and Eli Lilly’s Verzenios (abemaciclib), for the treatment of breast cancer.